Despite her success with the theme from Goldfinger, her career declined. For two years between 1968 and 1970 she was a tax exile from Great Britain and unable to work. Her comeback in 1970 in the United Kingdom led to one of the most successful periods of her career with a BBC special titled, The Young Generation Meets Shirley Bassey, and a record-breaking performance at a Talk of the Town nightclub. Between 1970 and 1979, Bassey had eighteen albums on the UK album chart. In 1971 she recorded the theme song for the second James Bond film, Diamonds Are Forever. Her third Bond theme song, “Moonraker,” was released in 1979. Her TV show, The Shirley Bassey Show (1976), was nominated for the Golden Rose of Montreux in 1977. Bassey married Kenneth Hume in 1961 and Sergio Novak in 1968, both of whom she divorced. She had two daughters and a son, Sharon, Mark, and Samantha, who was suspected to belong to Peter Finch, an actor with whom she had an affair during her first marriage. In 1985 Samantha at the age of twenty-one was found dead in the River Avon in Bristol, an apparent suicide. Focusing on charity work and occasional performances throughout the 1980s, Bassey entered a semi-retirement. In 2000 Shirley Bassey was made a dame commander of the Order of the British Empire, an honor recognizing her 135 million record sales over her career. 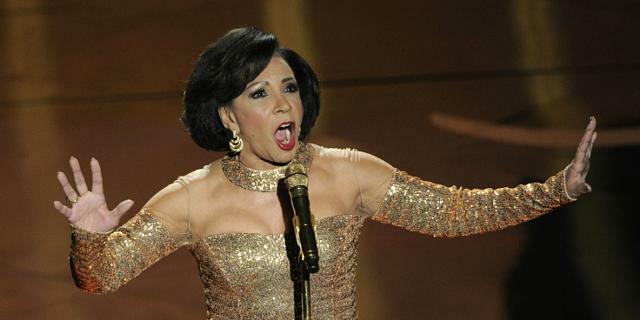 “Shirley Bassey,” Biography.com, https://www.biography.com/people/shirley-bassey-9201550; Krysta Eaves, “Dame Shirley Bassey's Links to Teesside Revealed,” Gazettelive, http://www.gazettelive.co.uk/news/local-news/dame-shirley-basseys-links-teesside-3689742; “Dame Shirley and Katherine Jenkins Steal the Show at Classic Brits,” Walesonline, Mar. 26, 2013, http://www.walesonline.co.uk/news/wales-news/dame-shirley-katherine-jenkins-steal-1833179; John L. Williams, “Trail of the Unexpected: Discover Dame Shirley Bassey’s Former Haunts in Cardiff.” The Independent, Oct. 8, 2010, http://www.independent.co.uk/travel/uk/trail-of-the-unexpected-discover-dame-shirley-basseys-former-haunts-in-cardiff-2101355.html. “Shirley Bassey,” Biography.com, https://www.biography.com/people/shirley-bassey-9201550; Krysta Eaves, “Dame Shirley Bassey’s Links to Teesside Revealed,” Gazettelive, http://www.gazettelive.co.uk/news/local-news/dame-shirley-basseys-links-teesside-3689742; “Dame Shirley and Katherine Jenkins Steal the Show at Classic Brits,” Walesonline, Mar. 26, 2013, http://www.walesonline.co.uk/news/wales-news/dame-shirley-katherine-jenkins-steal-1833179; John L. Williams, “Trail of the Unexpected: Discover Dame Shirley Bassey’s Former Haunts in Cardiff.” The Independent, Oct. 8, 2010, http://www.independent.co.uk/travel/uk/trail-of-the-unexpected-discover-dame-shirley-basseys-former-haunts-in-cardiff-2101355.html.